A powerful 8.2-magnitude earthquake rocked Mexico late Thursday, killing at least 15 people and triggering a tsunami alert in what the president called the quake-prone country’s biggest one in a century. The quake hit offshore in the Pacific at 11:49 pm (0449 GMT), about 100 kilometers (60 miles) from the coastal town of Tonala, in far southern Chiapas state, Mexico’s seismologic service said. The US Geological Survey put the magnitude slightly lower, at 8.1. That is the same as a devastating 1985 earthquake that killed more than 10,000 people in Mexico City — the country’s most destructive ever. 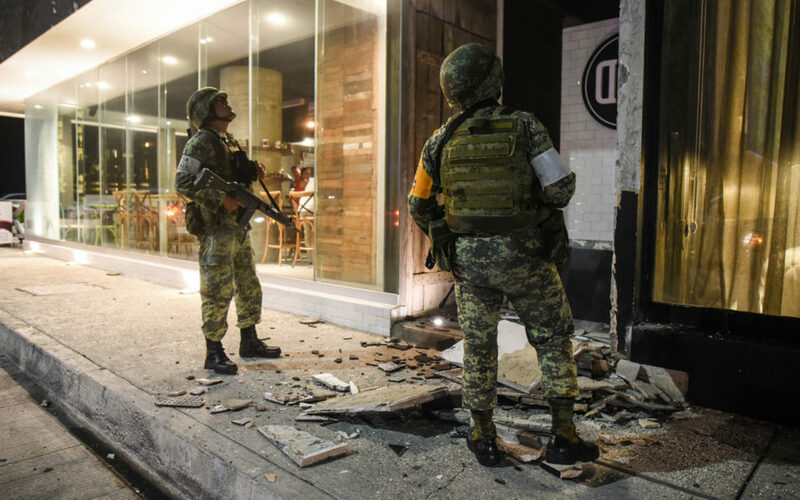 The quake shook a large swath of the country and was felt as far north as Mexico City — some 800 kilometers from the epicenter — where people ran from their homes as buildings trembled and swayed. Pena Nieto said three people were killed in collapsing buildings in Chiapas. The worst destruction appeared to be in Juchitan, in the state of Oaxaca, where 10 people were killed, according to the head of the emergency response agency, Ricardo de la Cruz. A hotel collapsed in Juchitan, the town hall partly caved in and many houses were badly damaged. Mexican officials ordered schools to remain closed Friday in 11 states, including Mexico City, so officials could inspect for structural damage. In the capital, people ran out of buildings — many in their pajamas — after hearing earthquake warning sirens go off just before midnight (0500 GMT Friday). “We heard an explosion. Apparently it was a transformer. The streetlights started swinging back and forth,” said Mayaro Ortega, 31, a resident of the capital’s north side who went running from her building. The quake struck at a depth of 69.7 kilometers, according to the USGS. But the alert was lifted several hours after the quake. The Pacific Tsunami Warning Center had originally said a tsunami of more than three meters (10 feet) was possible.